When I finally finished translating this 770-page historical novel, i was absolutely exhausted. Surely I felt excited about the completion of this mission, but there was also certain sadness: Rebel Girl had been with me for four long months, and we were inseparable throughout that time, both day and night, both when I was awake and asleep. Now, finally, the Chinese ebook is to be presented to readers. I feel like a mother who is to marry off her daughter, sincerely hoping that the young girl will have a happy, successful and fulfilled life. Rebel Girl is not an easy novel to translate. Its author Ann Clancy did an incredible amount of research during the writing of the book -- from the Highland clearances in Scotland during the 18th and 19th centuries, to the transport of convicts from England to Australia as a punishment for their tedious or severe crimes, to the numerous versions of life of migration and settlement by the Europeans in Australia, which are as magical and realistic as what is portrayed in the movie Australia, and finally to the cultural and social development of Australian Aborigines as they suffered but survived throughout the country's history. All these historical records, whether they are happy, sour, sad, bitter, sweet, or full of pain and sorrow, have been fluently presented by Clancy's wonderful pen. It is a book that is impossible to put down. Rebel Girl tells the story of Bonnie Douglas, an 18-year-old girl who, being motherless, is raised by her father and grows up in a whaling station on the edge of civilization in the Colony of South Australia. While her life has been tough both physically and emotionally, her father is wrongly accused, arrested and imprisoned. As a result, she rises up against the corrupt judicial system and the cowardly law enforcers, finally becoming a fearless bushranger. She is the author of the famous Rebel Song throughout the colony, and her act as a modern-day Robin Hood, taking from the rich and giving to the poor, has those on both sides of the law deeply shaken. But the most brilliant characteristic of Bonnie's story is her friendship with the Aborigines in South Australia. Throughout her portrayal of this friendship, Clancy has gently but consistently criticized the many discriminatory policies held by the colonial government in South Australia against the Aborigines. Her writing provides details of the suspicion, fear and hatred between early European settlers and the Aborigines. But she has also repeatedly emphasized the idea that as long as each side is willing to understand and give, then both can exist in harmony while helping and benefiting each other. While Bonnie has made great contribution to the life of her Aboriginal friends, it is they who have first given her a helping hand. As a historical novel, Rebel Girl is fluent, beautiful and deeply touching. This is not the prejudice of this translator, for before the translation begins, the translator herself is also a reader; she has also acted as a literary guide and critic throughout the translation. When I first saw this book, it was among a huge pile of pre-loved books. However, once I started reading it, the feeling was like having accidentally kicked a strangely shaped rock in the wildness and, after careful examination and research, realized the fact that it is part of a magnificent ancient creature. The book makes its reader's imagination soar. It has created a world that is wonderfully brilliant. Clancy has kindly agreed to join me in the publication of Rebel Girl as a Chinese ebook, as the very first among numerous excellent writers from Australia and New Zealand. Her courage is worthy praising, but her self-confidence is even more admirable. After all, Chinese ebooks represent a brand new market that is similar to the Australian wildness back in time. It takes those who are willing to work hard to cultivate this land. 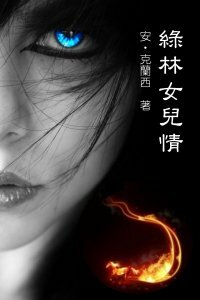 I hope readers will enjoy Rebel Girl as a Chinese ebook. If they love the truth, virtue and beauty in this book, then all thanks go to the wonderfully talented Clancy. If they find any faults or meanings that are difficult to comprehend, then the responsibility should be shouldered by this translator.